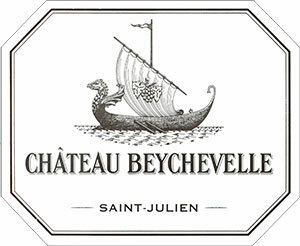 Tasted at Bordeaux Index's annual 10-Year On tasting in London.The 2006 Château Beychevelle has a more open and more complex bouquet compared to the 2006 Talbot. I appreciate the clarity and detail here with briary, cedar and touches of forest floor, suggesting that it has both feet planted on its drinking plateau. The palate is medium-bodied with a firm grip in the mouth. This is clean and fresh with a fine line of acidity: brambly red fruit, white pepper, cloves and a touch of fennel on the finish. This surpasses previous bottles that I have tasted. Tasted January 2016. Drink 2016-2030. There's lots of smoky oak and roasted coffee on the nose, with red fruits. Medium-bodied, with a solid core of fruit and chewy tannins and a medium finish. Well-crafted. Best after 2012. Bright, deep red. Musky currant, licorice, tobacco, cedar and herbs on the nose and palate. Juicy and on the lean side but with very good focus and cut to its flavors. Characterized more by its vinosity and elegance than by body or power. The moderately long finish features firm tannins that avoid coming off as hard.